A former colleague of U.S. Senate candidate Roy Moore said Saturday that it was “common knowledge” that the Alabama Republican dated high school girls while he was the assistant district attorney for Etowah County. Moore worked in the district attorney’s office from 1977 until 1982, and his coworkers found it strange that he regularly dated high school girls, Teresa Jones, former deputy district attorney for Etowah County from 1982 until 1985 told CNN. No one confronted him about the behavior, which included preying on young girls at high school gatherings, at the time, she said. “It was common knowledge that Roy Moore dated high school girls, everyone we knew thought it was weird,” Jones told CNN. “We wondered why someone his age would hang out at high school football games and the mall...but you really wouldn’t say anything to someone like that,” Jones told CNN. Jones’ comments come two days after the Washington Post’s bombshell report that Moore, now 70, allegedly pursued sexual relationships with minors when he was in his early 30s. Four women told the Post that he sought them out for sexual and romantic relationships when they were girls. One of his accusers, Leigh Corfman, told the post that she was just 14 when the former Alabama Supreme Court justice pursued her. Another accuser, Gloria Deason, said she was 18 when a 30-something Moore provided her with alcohol and took her on dates. 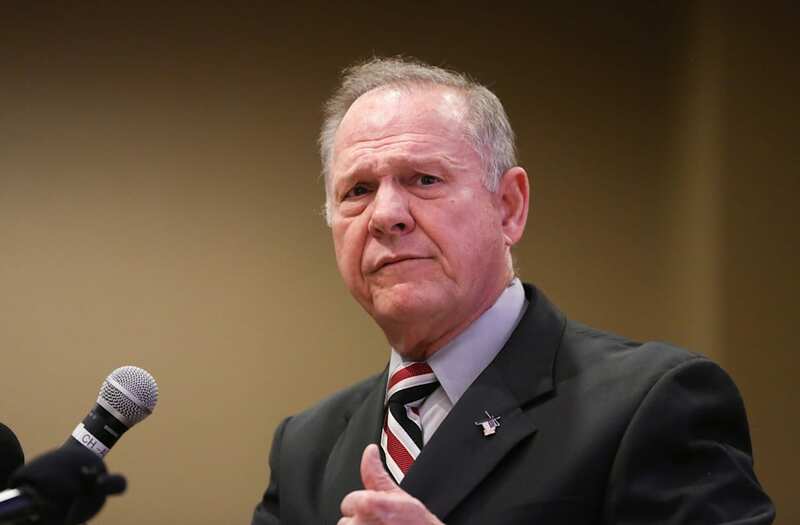 Moore claimed Saturday that the timing of the allegations against him suggested that they were politically motivated. Deason pushed back on the claim in a statement Friday. Deason “is a registered Republican and has no affiliation with the RNC and has not been contacted by the RNC or any Republican leaders at this time. The same is true for the DNC and democrat leaders,” it said. Moore denies the allegations but said in an interview with Sean Hannity Friday that he did “not generally” pursue teenage girls.